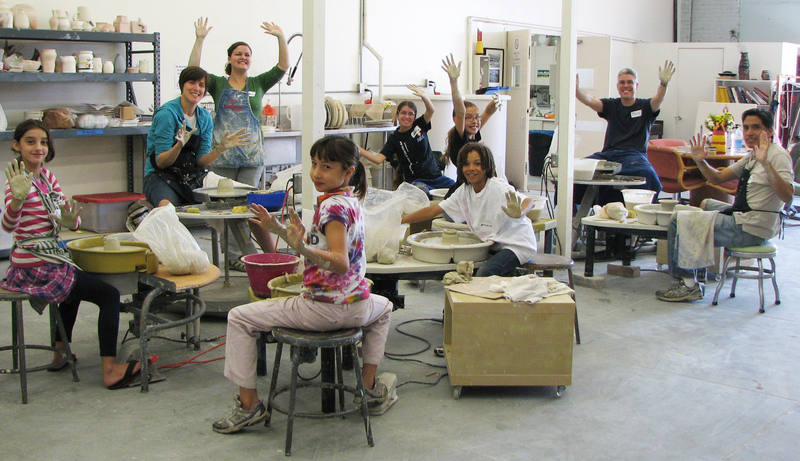 AMOCA Ceramics Studio is now offering after school children and teens ceramic classes. Our weekly classes are great for those children and teens who have never had the opportunity to try their hands at ceramics and for those looking for a true ceramic experience in a professional ceramic studio. Classes meet once a week allowing students to build their tool box of techniques. Each course will have a theme and help children or teens develop not only their clay skills, but also their art theory, problem-solving, and narrative skills. Classes are limited to 12 students. Class fee includes instruction, materials, firings,and a snack. Click here for more information or to register for kids and teen classes. Looking for a little break? Maybe grab dinner? We’ve got you covered! Your child(ren) can join us for a two-hour clay experience that is sure to please! Our instructor will cover the basics of construction and then help your child create their very own clay masterpiece out of air dry clay. All projects can be taken home that evening. Click here for more information or to register your child(ren) for Parent’s Night Out. Join us for a fun and educational clay camp and workshops! These camps/workshops are great for those kids who have never had the opportunity to try their hands at ceramics. Camps meet for one week, three hours a day Monday through Friday during the summer. Workshops are special themes or in relation to holidays throughout the year. Click here for more information or to register for Clay Camps. Looking for a fun family-friendly activity? Interested in trying your hand at clay? Our studio offers a one-hour class on Saturdays for all ages. Our instructor will demonstrate some basic construction techniques and then help you and your family create your very own masterpiece out of air dry clay! Artwork can be taken home that day and painted at home. Join us after class for pizza before heading home! Bring a friend or your family for Pots and Pizza with us! Click here for more information or to register for Saturdays at the Studio.